The complexities wrought by tax reform could prompt companies to revamp their tax leadership, a recruiter says. Tax reform may have brought simplification to some aspects of the U.S. tax code, but it certainly didn’t simplify matters for corporate tax departments. At least not for the near term. Well-established corporate tax strategies, designed to optimize taxes on a global basis, now must be thoroughly reconsidered to respond to the new tax landscape. Corporate tax leaders need to rapidly get up-to-speed on both the extensive details and the implications of these changes. Say goodbye to — and get ready to reinvent — your father’s somewhat static tax department. Grappling with the tax-law changes will be no simple task. While CFOs do understand tax theory, they rarely are experts in the specifics. For that, they depend on a tax leader with deep domain experience. In this case, the implications of the tax changes will be broad and significant. Questions from the company’s board and executive leadership would appropriately probe the company’s current and legacy tax-mitigation strategies, as well as future planning needs. For instance: What should we do with the intellectual property we offshored to Bermuda? Or the operations we established in Luxembourg to ease the transfer of cash around the EU so that we could keep it there rather than repatriating it? Which of the company’s previous tax strategies are now obsolete, and which still make sense in this new environment? Overall, what do these tax changes mean for our company? How should we be considering tax now to optimize our future strategic decisions? Through this process, some companies are discovering a need to upgrade or expand their tax leadership team. Too many companies think of the tax department as the place where paperwork goes after an operation is completed, and you need to file tax and compliance forms. While that’s important, those companies are missing an opportunity. Instead, companies should encourage tax leaders to be proactive, to utilize their operational understanding of the business, and to engage on the planning side. For that, a company needs tax leader who can do much more than just keep the trains running. It should be someone who wants to learn the business and who can bring strategic vision to the planning process. Based on the tax-leadership search activity we’re engaged with at ON Partners, an executive search firm where I’m a partner, companies with active M&A strategies tend to be especially interested in an upgraded tax function. Top-notch tax leaders can be valuable in assessing a potential acquisition’s overall business — as well as its tax department — to identify opportunities to rationalize, integrate, and optimize operations and outcomes. It’s not uncommon for top tax professionals to recover millions of dollars in tax rebates from overpayments by acquired companies. Common categories of overpayment relate to product-liability settlements, revenue recognition, and sales and use taxes. Additionally, companies with significant intellectual property (technology, software, medical, and others), as well as those that manufacture in multiple global locations, are finding value in enhanced tax-function capabilities. As companies seek this top tax talent, one emerging trend is the combination of tax and treasury into a single leadership role. The combination makes sense for a number of reasons. There is, of course, crossover and commonality in the responsibilities of the two departments. The treasury department projects and manages cash and cash flow. The tax department forecasts and provisions for taxes and may also consider other cash that flows out the door — capex, cash payments in acquisitions, and other business expenditures — that impact taxes. And during M&A activity, the tax department is integral to the valuation work, while also collaborating with the treasury team on the balance-sheet side. Combining tax and treasury leadership into one senior vice president role can be practical and logical in multiple ways. From the tax-leadership perspective, the combination removes the tax leader from a situation of reporting only to the audit committee. Instead, it inserts that person into a more visible and central role in relation to the board, the CFO, and entire executive team. And yet, this would not be a giant step outside of the typical responsibilities and expertise of top tax professionals. For companies considering such a combined role, two other factors are worth noting. First, the company might save on costs by eliminating one SVP role. Second, and more importantly, the additional breadth of the combined role can be a key attraction for recruiting highly qualified tax leaders who are ready to take that next step in career development. Leading both tax and treasury validates an executive’s stature as a business partner, rather than perhaps being perceived solely as a tax professional. Importantly, the desired mindset for this leader is not only to work to protect the company, but now also to work to enable the company. Identifying this next leader requires looking well beyond professional expertise to other attributes. Companies should look for people who are intellectually curious. That includes people who continually focus on the business pulse points that are generally impacted by tax and tax reform, and who try to anticipate what will happen next. Companies should also want people who are curious enough to manage their own careers, and who want to be in a position to make things happen — for themselves and for the company. Those are the most interesting people. 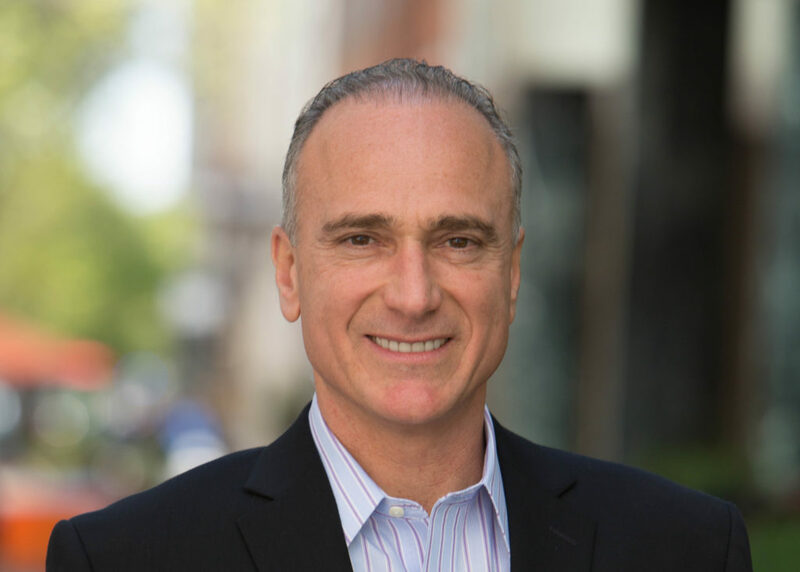 Lenny Vairo is a Boston-based partner with executive search firm ON Partners. Contact him at 781-799-3037 or lenny.vairo@onpartners.com.